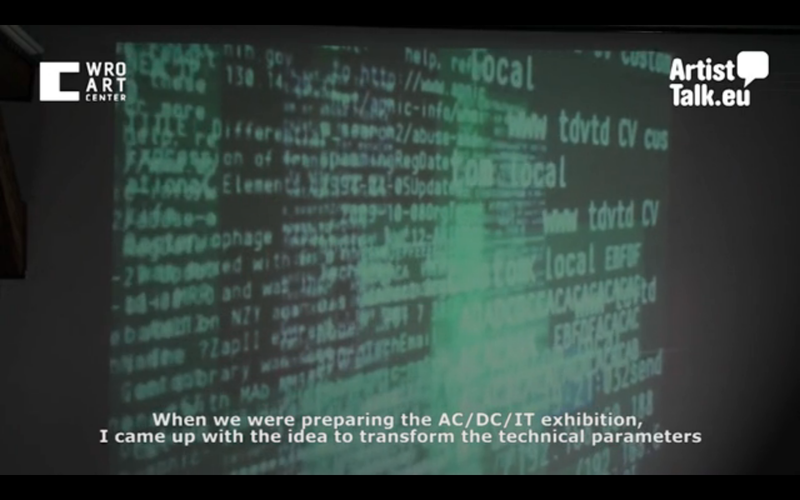 All of the exhibited projects are based on text, starts with text and develops into different visual forms. 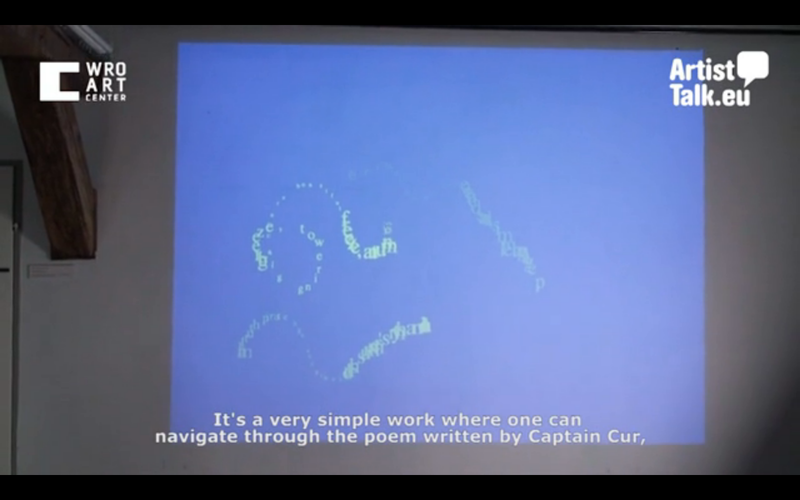 The work Endless Blue (2012), based on a poem written by Captain Cur, a 17th century sailor, is originally created as an application for mobile devices and an attempt to transfer a poetic form onto modern technology. 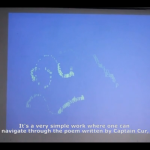 With Garden Mechanique (2011)he created on the basis of this poem, written by Tytus Czyżewski (1922) an interactive installation, that contains a movement tracking system that makes it possible to animate such forms including introducing elements of computer games to this work. World Net Instrument is a large-scale interactive installation using language structures as a base for the musical and visual compositions. The fourth project Net Eater (2009) goes forward. 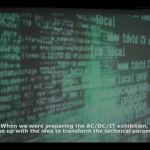 It is a series of interactive, generative environments based on data captured from communication traffic and transforms it into a variety of audiovisual forms.For the work dan Synth (2012) is a software written which generates visualizations based on the genetic code of different creatures. This early version of the written software encodes for example the DNA structure into sequences of 4 letters. Digital, linguistic analysis of a spoken language leads to different, interesting conclusions.